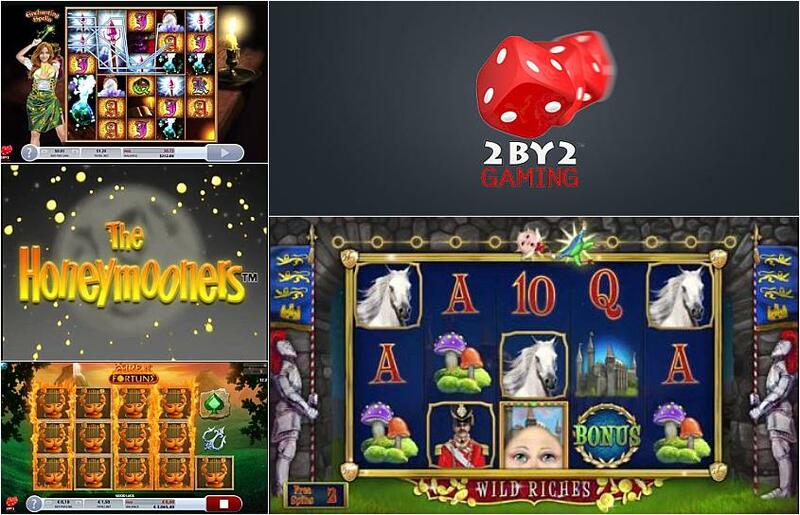 2 By 2 Gaming is a Chicago-based company that offers a variety of both online and land-based slot games. It was founded by Shridhar Joshi, who is also the CEO, and Darryl Hughes, who has the role of head of development. Between the entire team it has 125 years of experience across the games development sector, which should certainly give it an edge over some of its rivals. Click here to read more. According to 2 By 2 Gaming, it already has patents on over 65 of its titles and around 35 that are pending. The games that it has developed cover a wide range of popular themes, and it uses high-quality graphics that entertain and captivate the players, making it a successful business in the industry. This quality experience has led to 2 By 2 Gaming games being taken up by many of the leading land-based and online casino companies throughout Europe and North America. The designers at 2 By 2 Gaming have a wealth of expertise in using a variety of advanced technologies, enabling them to develop games using both 2D and 3D graphics and incorporating well-thought-out animations, diverse game play and exciting sound effects. All of these elements combine to provide players with a unique experience and one that they want to keep coming back to. The quality of the games designed by 2 By 2 Gaming wouldn’t be enough to make the business as successful as it has been, and it is also good at developing excellent partnerships with major casino customers, alongside other software designers. These partnerships include creating custom games or converting current games to enable them to work online or through mobile devices. The aim of 2 By 2 Gaming is to have a portfolio of games that appeal to a wide range of players on different levels. It does this by using a variety of themes, gaming styles and volatility levels to appeal to players of different levels of experience and staking preferences. Many of the themes that are chosen revolve around historical and geographical factors, including Riches of the Sea, which is one of its most well-known titles, and the Ancient Egyptian-based slot Secrets of the Tomb. It also takes players on an oriental adventure in Mandarin Fortune and a journey across the African savannah with Legends of Africa. Some of the games that have a more bespoke character include Pinocchio’s Fortune, which is based on the classic folk tale and uses some excellent graphics and animations, and Greener Pasteur, a slot that revolves around a mad scientist who uses mysterious germs in his experiments. 2 By 2 Gaming has got its strategy right by sticking to the middle and creating games that are not too simple in nature but also not too adventurous, which makes them appeal to a wide mix of players. Its many games include all the bonus features you would expect, such as free spins, stacked wilds and bonus games, to offer players lots of winning opportunities.